If you love books so much you like to inhale the scent of fresh pages when you crack a new one, Immortal Perfumes may just be for you. JT Siems runs the micro-perfumery out of her Seattle studio, crafting all handmade perfume blends from original recipes. 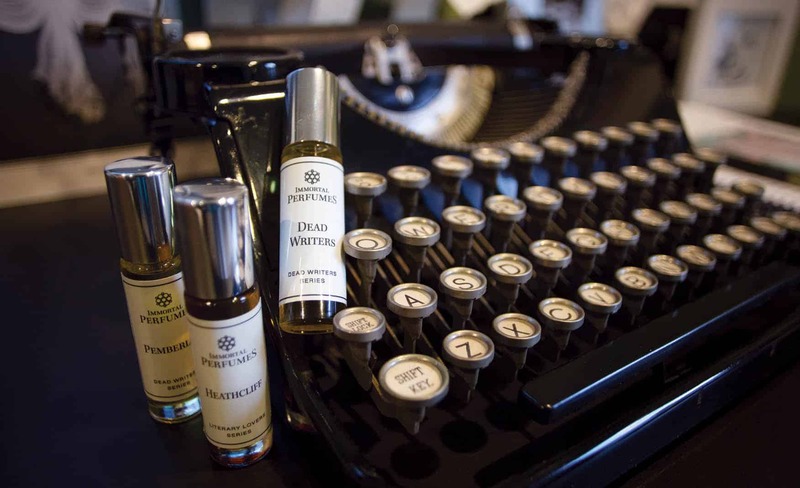 She draws from dozens of scents to create her historically inspired perfumes, which includes her flagship line, Dead Writers. Inspired by her love of literature, bottles range in name from Dharma Bum to Capulet to Lady Day. Siems pours sample sizes of perfume in her studio. Siems says she sells thousands of her 2 ml “sample size” bottles a year. Siems keeps rolls of perfume labels readily accessible. 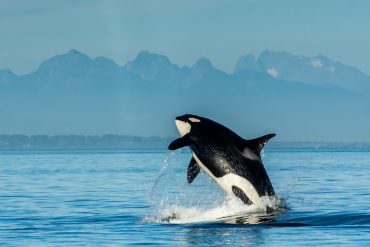 Siems creates all of her products in her home studio in Seattle. Depending on the season, Siems spends between fifteen and thirty hours a week in her studio. Siems recently added scented bookmarks to her product line. The quill-inspired bookmark comes with a sample size of perfume. Users can dab the perfume onto the tassel’s knot to create an aromatherapeutic reading experience. Siems estimates she has at least 100 different bottles of scents and oils she uses to make her perfumes.